Royals… they’re just like us? 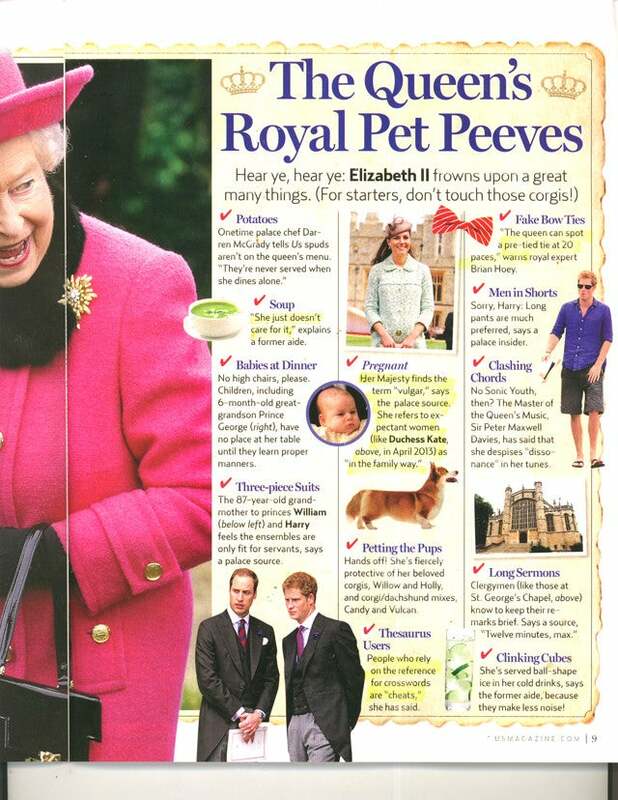 According to an old report from Us Weekly magazine, Queen Elizabeth hates the word “pregnant.” No, we’re not joking. A palace insider told the publication during Kate Middleton’s first pregnancy that the then-87-year-old finds the term “vulgar.” Well, we definitely weren’t expecting that one! Then again, the Queen always surprises us! The question is, however, if the Queen refuses to call expecting women “pregnant,” how does she describe them? Apparently, she finds the phrase “in the family way” to be much more fitting. To be honest, we’re not entirely surprised. It may be 2018, but considering the monarch will be 100 years old in less than a decade, antiquated terminology seems par for the course. That said, we can’t help but wonder how a very pregnant Meghan Markle feels about her in-law’s hesitancy to describe the 37-year-old’s condition. Then again, this wouldn’t exactly be the first time the Duchess has had to deal with some of the royal family’s quirks. In fact, earlier this month, it was reported that Meghan will be weighed before and after eating Christmas dinner. Why on earth is that even a thing, you ask? Well, it’s all in the name of tradition. Per royal expert and Majesty editor Ingrid Seward and Grazia magazine, the custom was born during King Edward VII’s reign after the monarch began to worry that people weren’t eating enough on Christmas. Well, now we’re scratching our heads, considering Meghan’s mom, Doria Ragland, is reportedly attending the Sandringham Christmas celebrations. So does that mean the grandma-to-be is going to weighed too? Looks like we’re going to find out.